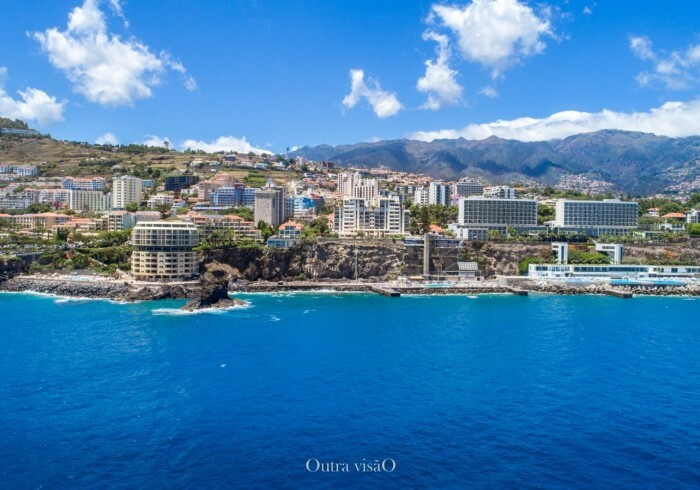 Splendid apartment situated on the sea front, right on the hotel line in the tourist zone of Lido in Funchal. Unobstructed ocean view, swimming pool, private garage, free wifi internet available in the whole apartment. Cable TV and fully equipped kitchen, including linen and dishwashers. Linen and towels are provided, as well as cookware & utensils. The apartment features a lovely Madeira decoration based on a mixture of classical furniture with some modern elements. The apartment has 3 separate bed rooms, the main suite having it's own bathroom. The kitchen and the living room boast a terrific ocean view, and you can enjoy the sunset in the terrace while having a drink.